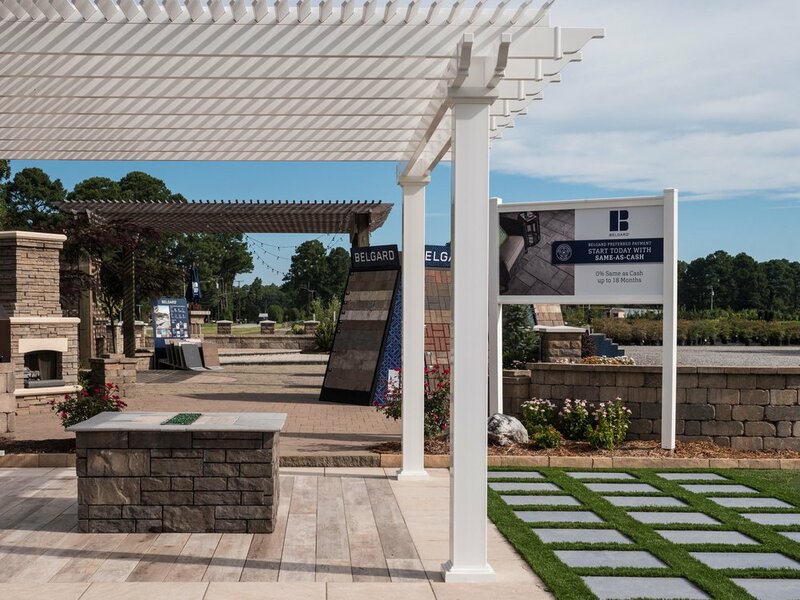 Located in Suffolk, The Outdoor Living Display at Lancaster Farms is the largest Pavers and Hardscape showcase in Virginia. The Outdoor Living Display at Lancaster Farms is a spacious showcase of Belgard and Eagle Bay hardscape solutions along with Heartland Pergolas, Firegear outdoor hearths and Shawgrass synthetic turf. Collect and organize ideas while viewing a wide range of pavers, patterns, textures, colors, structures, surface and fire elements. Accessible at all times, visit the display to stroll on the actual pavers, inspect the craftsmanship, and envision the transformation of your home and outdoor living space. Go beyond a catalog and immerse yourself in real life applications of fireplaces, firepits, grill islands, pergolas, pizza ovens, retaining walls, planter beds, step landings and synthetic turfs in every color and style available..
Our display showcase is accessible 24 hours a day. Our Stone/Hardscape Team is available Monday through Friday from 8:00-4:30 and by appointment. As industry leaders, Belgard drives many of the trends in outdoor living design. With more colors, shapes, styles and textures than any other hardscapes brand, Belgard helps you create an outdoor living space that complements your sense of style and the architecture of your home. Outdoor living has been an upward trend for many years, and with good reason. Whether it’s an outdoor living room, fire pit patio, pool deck or outdoor kitchen, a functional outdoor living space provides a festive backdrop for entertaining family and friends. A family-owned business, Eagle Bay® works with a network of authorized dealers throughout the Mid-Atlantic region to provide some the best hardscape products available on the market today. 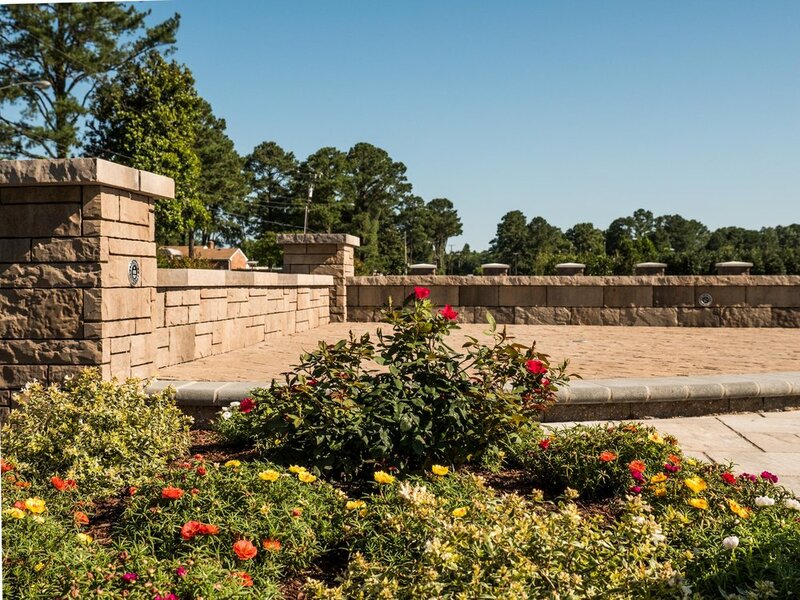 Headquartered in Richmond, Virginia, Eagle Bay® offers hundreds of color, texture and size options for retaining walls, seat walls, fire pits, columns, pavers and more, to create beautiful and functional outdoor living spaces all with a lifetime transferable warranty. A custom vinyl pergola will add both form and function to your backyard. Every Heartland Pergola features a rust proof, extremely strong aluminum frame, surrounded in easy-to-clean vinyl. Unlike wooden pergolas, our pergola kits don’t require painting and won’t rot. Unlike resin pergolas, ours are built to withstand high winds and will never sag in summer heat. And because we use a premium blend of vinyl, our pergolas are extremely fade resistant and won't ever chalk or discolor. Firegear Outdoors, a division of Skytech Products Group, has established itself as a leading manufacturer of outdoor repits, outdoor replaces, designer hearth systems, gas logs, and an array of repit and outdoor replace accessories. Serious about extending your living space and want to take the next step? Starting a hardscape project can be a daunting task. What can I expect? What qualifications should I look for when choosing a contractor? 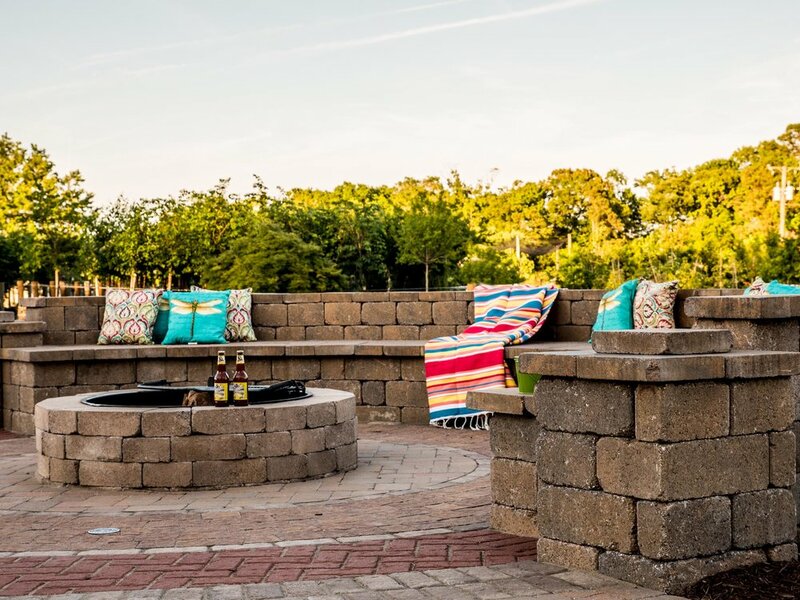 With over 30 years of detailed hardscape experience in the industry, our Hardscape & Stone Team can guide you in creating your outdoor living space. We can recommend professional installers and answer any questions about your outdoor living vision. The Hardscape Team is available Monday through Friday from 8:00-4:30. Send us a message below and let's start your journey. Thanks and we look forward to meeting with you! We are proud distributors of Shawgrass®, the leaders in the synthetic turf market. See and feel it for yourself at our display showcase. We can guide you to a hardscape installer to make your outdoor living vision a reality. Make your outdoor living vision a reality by putting your trust into award-winning contractors.